Anybody who knows me knows that I am a massive fan of concealers and I have so many of them sat in my makeup drawer. When I sit in front of the mirror and I see my skin without makeup on, I see a lot of things that I like to cover including dark circles underneath my eyes and hyperpigmentation on my cheeks, so for me a good concealer is worth its weight in gold. 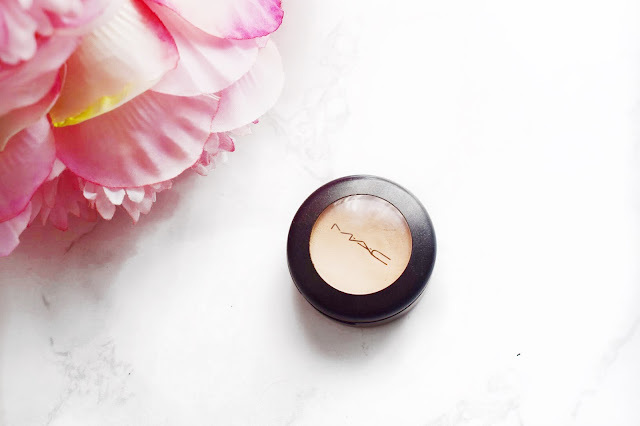 I thought that for today’s post I would do a review on the MAC Studio Fix Concealer because it is a cult classic from MAC and a concealer that I have been using and loving for a very long time. I can remember that I first bought this concealer when I was only 14 years old. Crazy to think about it now, why in the lord’s name did I need a concealer at that age and a full coverage concealer at that, but I just needed it. I can remember that I had been religiously watching Kandee Johnson's YouTube videos and she did this certain tutorial and I was absolutely obsessed with it. So, on my Christmas list for that year I wrote down every single item that she used in the video and begged my mum and dad for it. Bless their souls, they came through for me and underneath the Christmas tree I had a lovely MAC box full of goodies, including this concealer. Back when I first got this concealer I didn’t really have anything to cover other then the freckles on my cheeks, which I thought it was amazing at doing. 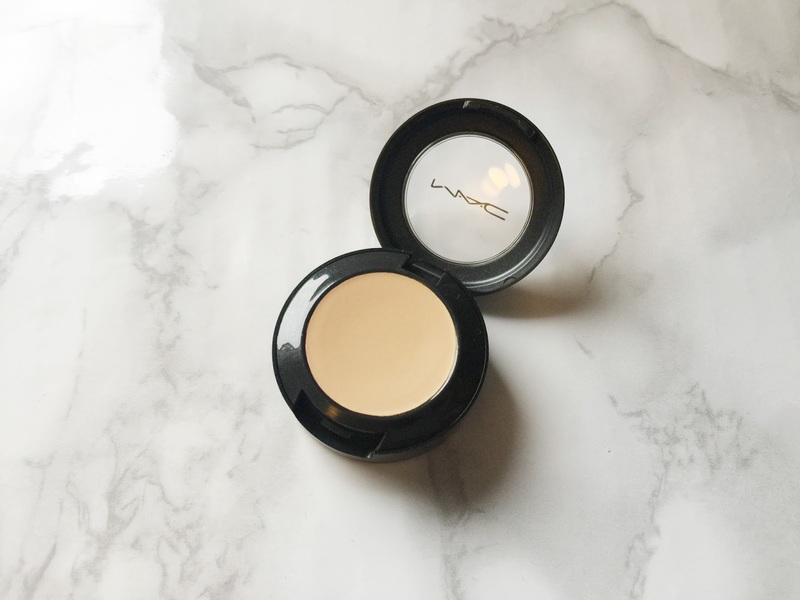 It wasn’t until I got older and got some quite significant dark circles underneath my eyes that I realised just how important a full coverage concealer like this MAC Studio Fix Concealer really is. I think that I can quite confidently say that I have used this concealer for going on 5 years now and I am still completely in love with it, and I will make sure that I always have one of these sat on my vanity for those days when I need some extra coverage. Because this is a MAC concealer, you know that the shade range is going to be good. MAC cater for lots of different skin tones, as well as various undertones. My perfect shade in this product is NC20 and that is the same shade that I have always used in this. If I am slightly on the fairer side, this concealer perfectly matches my skin tone, or if I am slightly more tan, this makes a great highlighting shade. I have since gone out and bought another one of these in NC40 to conceal blemishes, but I have to admit that I don’t reach for that one very often. How I apply this concealer really does depend on how my skin is looking and how much I have to cover. If I want to lightly cover things before I go in with my foundation, I will take just a small amount of product on my MAC 217 and lightly buff it into the area where I need it. Usually I concentrate the product on my darkness and then any excess on the brush I will lightly apply over the top of my eyelids to hide veins. If I am having a bad skin day, I will take this on a flat concealer brush and really pack it onto the skin to get the maximum out of the full coverage concealer. I will say that this is a matte concealer and when it is packed onto the skin, it can end up feeling a touch heavy. But sometimes for the amount of coverage that a product offers you, you do have to sacrifice the consistency of the product. I try to get around this by applying it to the face and then blending it out using a damp Beauty Blender because it helps to defuse the concealer but keep the coverage. The to set it in place and ensure that it doesn’t move, I will set it using the Laura Mercier Translucent Powder. Back when I was a freelance makeup artist and I was mainly doing brides, these are the concealers that I would use. I love these because they you can get them in a little palette and you can mix the shades together to get the perfect shade. These really are professional quality concealers and that is why I reach for them over and over again. For when I have things to cover, this is the product that I always reach for, I just try to keep it in mind to keep a light hand to stop it from being heavy and creasing! Make sure to leave me a comment down below if you have used this concealer and tell me what you thought about it. I will leave a link to this down below in case you want to check it out for yourself!